This entry was posted on May 2, 2013 by admin. 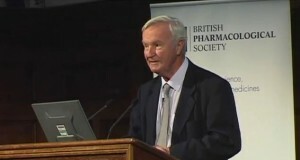 A public lecture from the president of the British Pharmacological Society, in which he outlines the current state of medicinally used cannabis in the world today, and describes the medical potential of the cannabis sativa plant. He also speaks about the man who introduced medical cannabis to the west in the 1840′s, Professor William Brook O’Shaunnessay. A Limerick born ‘genius’ who also established the first telegraph lines in India.